Hate-fueled violence is on the rise, threatening peace and security in the United States and around the world. Bigoted ideologies run rampant through dark corners of the internet, breeding hate and inciting violence. The terror attack in Christchurch, New Zealand is a tragic reminder of the deadly consequences of what can happen when this hate is armed. 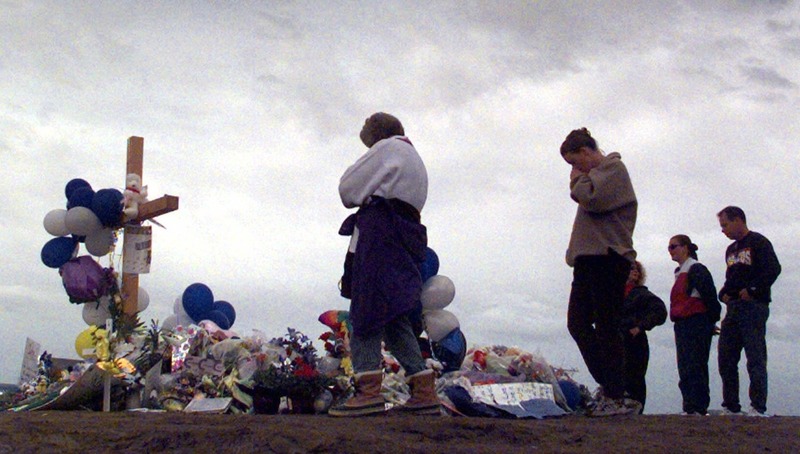 Violent extremists and hate groups often use firearms as tools of violence and intimidation. Recent mass shootings at a gay nightclub in Orlando, a historic African-American church in Charleston, a Sikh temple in Oak Creek, Wisconsin, and a synagogue in Pittsburgh were among the deadliest hate crimes ever committed in the United States, and among the deadliest mass shootings in our nation’s history. Disturbing events like those that played out on the streets of Charlottesville in 2017 have occurred alongside deadly firearm attacks and plots across the nation. 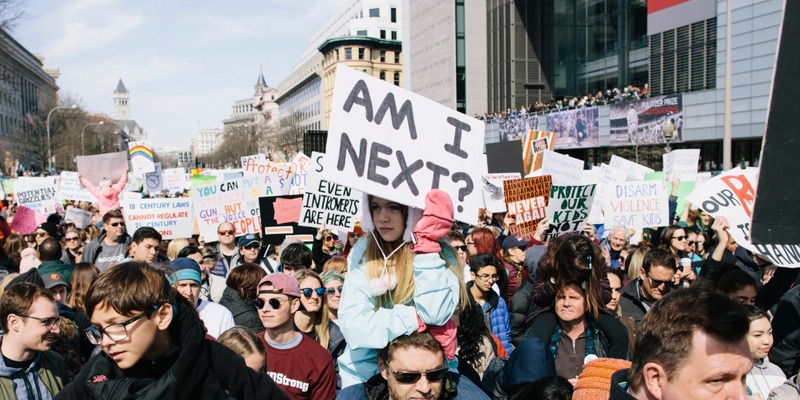 These are just some of the most visible examples of a large and growing threat, as hate-fueled violence is on the rise nationwide and throughout the world. In too many cases, the presence of a firearm turns bigoted threats into deadly assaults. And yet, in most states, most people who have been convicted of violent hate crimes would currently pass a background check to acquire a weapon designed to take human life. That must change. Hate-fueled violence is a growing problem. From 2006–2015, Americans suffered more than 10,000 violent hate crime attacks every year involving the use or threatened use of firearms. The majority of these attacks were motivated by bigotry on the basis of race or ethnicity. Data also suggests that hate crimes against LGBTQ individuals are more likely to involve weapons, especially hate crimes targeting gay men and transgender women. Recent trends are even more alarming. Since 2015, hate crime incidents across the US have become substantially more numerous and more violent; police departments in numerous major cities have reported significant spikes in hate crimes. And the Southern Poverty Law Center reported that the number of active hate groups reached a record high in 2018. Rising hate crime rates have been driven largely by rising rates of violent hate, and data shows that these increases have negatively affected impacted groups across the country. From 2016 to 2017, there was a 16% increase in hate crimes against black Americans and a 24% increase in hate crimes against Hispanic and Latino Americans. The number of anti-Muslim hate groups has tripled from 2015 to 2018. This increase has coincided with elevated rates of hate crimes and bias incidents targeting the US Muslim community, including a 77% increase in hate crimes from 2014 to 2017. The National Coalition of Anti-Violence Programs reported that 2017 saw the highest ever number of LGBTQ homicides, mostly with guns. Transgender individuals, particularly transgender women of color, are disproportionately killed in these attacks. We need to keep guns out of the hands of violent hate crime offenders. People who have committed a violent crime are much more likely to commit subsequent acts of violence. Researchers have found, for instance, that individuals with a prior conviction for a violent misdemeanor were nine times as likely to commit subsequent violent crimes and also nine times as likely to commit subsequent firearm offenses. People who have committed hate crimes are an even greater risk to public safety. Experts have found that “individuals who commit hate crimes tend to escalate their conduct in order to ensure their message is received by the targeted individual or community. . . If the original criminal response fails to elicit the desired retreat on the part of the victim, then the offender frequently escalates the level of damage or violence.” These patterns underscore the need to ensure that people who have already demonstrated a dangerous propensity to escalate bigotry into criminal violence are prevented from acquiring and possessing guns. While most US states (and federal law) prohibit convicted domestic violence misdemeanants from acquiring guns, individuals convicted of violent hate crime misdemeanors remain eligible to keep and purchase guns in the majority of the country. Federal legislation has been introduced to close the hate crime gap but has not moved so far. These bills would close the hate crime loophole. In the last Congress, US Senator Bob Casey and Representative David Cicilline introduced the Disarm Hate Act in both the House and Senate, legislation which would prohibit firearm access among people who have been convicted of a hate crime involving the use or threatened use of violence or a deadly weapon. Giffords has also strongly supported similar Disarm Hate legislation at the state level, including a Disarm Hate law sponsored by Giffords that was enacted in California in 2017. State-level Disarm Hate bills are currently pending in at least five state legislatures. We need to stand up to violent hate in all its forms. Violent bigotry has become one of the defining challenges of our era. Attempts to deny the shared humanity of people who live, look, love, and pray differently have brutal consequences for many families and communities across the United States. And weak, irresponsible gun laws help to fuel this violence. In most places in this country, people who have been convicted of a violent hate crime can still buy a gun. If a background check was required to buy a weapon, they would pass it. If they owned a gun before their conviction, they could keep it. It’s time for our legislators to make our communities safer from violent bigotry. This shouldn’t be a partisan or controversial issue; when Giffords Law Center wrote and sponsored a Disarm Hate bill in the California legislature in 2017, it passed unanimously. But similar efforts have never received a vote in Congress. Urge Congress to make it a national priority to make our country safer and freer for all who call it home.